Our firm specializes in offering an excellent range of Bronze Bush that are used in the field of hoisting machines and mineral engines. To maintain industry standards, these bushes are designed using the finest quality raw material and innovative technology by our vendors’ professionals. 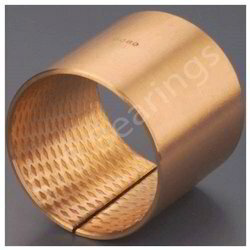 The offered bushes are sternly tested by quality controllers on different parameters to maintain their durability. 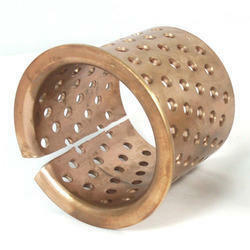 We have gained a remarkable position in the industry by offering a qualitative assortment of Wrapped Bronze Bush. 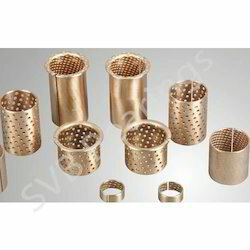 The offered bushes are designed using the best quality raw material and cutting edge technology by our vendors’ professionals in sync with industry norms. Moreover, the provided bushes are sternly tested on per-defined parameters under the strict vigilance of our quality controllers. We have uniquely positioned ourselves as a dependable firm, engaged in exporting, importing, wholesaling and supplying Flange Holes Bronze Bush. The offered bushes are designed using top-notch quality raw material and innovative technology at vendor’s end in line with industry standards. So as to ensure quality, these bushes are rigorously tested on variegated parameters by our experts. Apart from this, the provided bushes can be availed by our clients at industry leading prices. We have uniquely positioned ourselves as a dependable firm, engaged in exporting, importing, wholesaling and supplying Flange Wrapped Bronze Bushes. The offered bushes are designed using top notch quality raw material and innovative technology at vendor’s end in line with industry standards. So as to ensure quality, these bushes are rigorously tested on variegated parameters by our experts. Apart from this, the provided bushes can be availed by our clients at industry leading prices. Looking for Bronze Bush ?